It's a great day ! 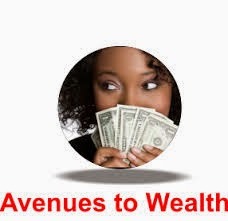 This piece is a vital tip written by Avenues to Wealth Nigeria Team sometime ago. I have decided to share it with my community as it is instrumental to business success especially in MLM. You can learn more about A2W- the MLM opportunity I am passionately driving, after the article. It is true that there is no comparable substitute for hard work, the only other substitute is hard life! There is however smart work, which involved the mixture of activity and wisdom. It pains me deeply when I see people waiting idly for an opportunity to later give excuses in life. If others can make it with this opportunity, so can you. It's not about who got in first, or when someone became a distributor. It's about what you did when you got the opportunity, and wether or not you are building with wisdom. If anybody you know has made it in this business. . . then you can make it as well. People have bought brand new cars, some have travelled on vacations they could only dream of, others still have built their own houses - some are in the process, and there are people who have earned amounts just in the cooperative that have been mouth watering. If they can do it, so can you. The good news, is there is a simple way to do it as well. These things may seem simple, but success, stressless success is a function of how you manage to do these things daily. If you are building this business well, then you can afford to give yourself complete rest for one week, and still earn exciting income. In the next update, we'll be discussing in clearer detail about these basic things.